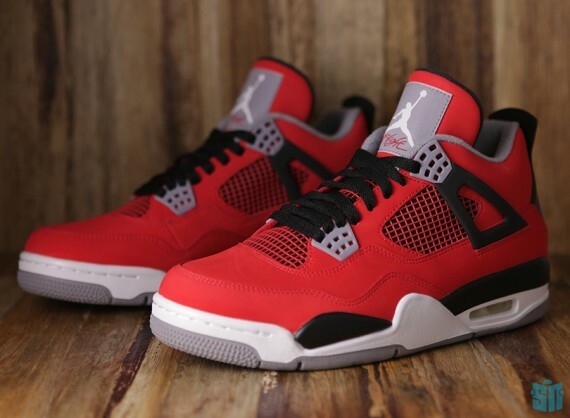 The Air Jordan 6 “Infrared”, Air Jordan 4 “Toro”, and Air Jordan 4 “Green Glow” will all be re-stocking at Finish Line on April 19th, 2014. The return of the Jordan 6 in question isn’t entirely surprising given its recent release, but the fact that those two Jordan 4s from last year are making their way back around certainly is (and definitely an opportunity to cop if you missed out). Keep in mind that Nike’s fiscal year will end in May, so there’s a chance that more restocks are to come (there were two major restocks in April and May of last year). Will you be trying to grab any of these renewed Air Jordans when they show up at Finish Line next week? Let us know in the comments and stay tuned to Sneaker News for further restock info on your favorite styles.